Yesterday was a great day. Adam and I went out to the sheep shearing festival, and as I mentioned yesterday I was only disappointed that there was no actual pig roast and no actual yarn for sale. They had some brown yarn for sale in the Sheep Shoppe, but I’d been hoping for more colors and options. The food they had was great, though. It was homemade barbeque, we just didn’t get to see the barbeque. We had pulled pork and brisket sandwiches, and the gelato was pretty good. But a strange texture, which might be because it’s made with sheep’s milk (I couldn’t confirm this since the kids working the stand didn’t really know). 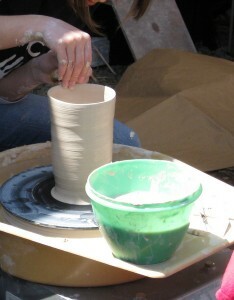 But the festival was very cool. Smaller than I was expecting, but still a lot of fun. 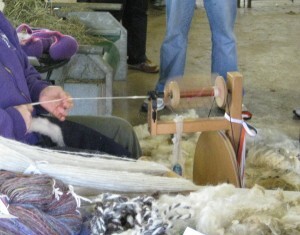 So the lady spinning yarn had lots for show and tell, but nothing for sale. She made all the yarns on her table, and watching her spin the raw, just-sheared wool was very cool. And I learned something I never knew. Fishermen’s sweaters are made from wool that has just been soaked in cold water and hung to dry outside before being spun into yarn. It’s not thoroughly cleaned because the oils need to stay in it. They’re water resistent and help protect the fishermen. Cool, right? There were a couple of crafters selling pottery, but this stand was cool because they were spinning pottery right there for the kids to see how it’s done. I bought 2 sheep ornaments for the Christmas tree. 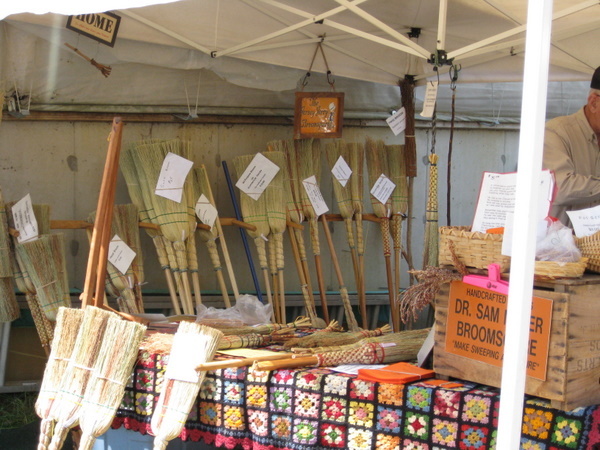 This was a great stand, Dr. Sam Moyer is a geneticist who also makes homemade brooms. We ran into my friend Meredith at the festival, I’d passed on the information to her. 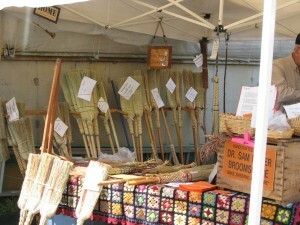 And she pointed me to this stand because he had these bundles of short broom twigs that you use to test cakes to see if they’re done. Rather than use a toothpick, you pull one of these longer sticks from the bundle and use it to test your baked goods. I bought one, they were $5 and incredibly cool. Thanks, Meredith! Freshly shorn alpacas and goats. 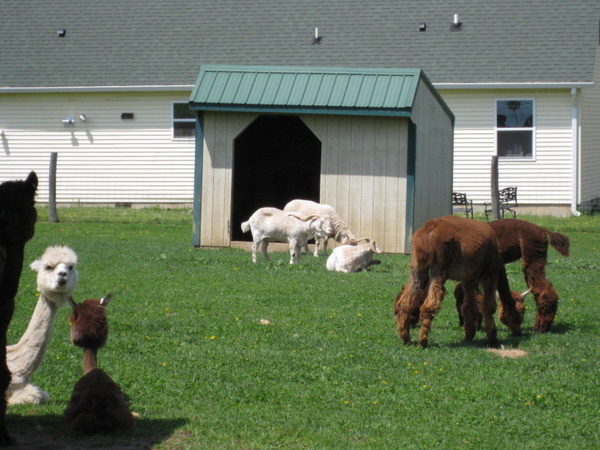 Some of the alpacas did not look pleased. Then the main event. Some of the sheep were calmer than others, but I imagine it’s rather embarassing to get shorn all over (and I do mean *all over*) with a crowd snapping photos at you. 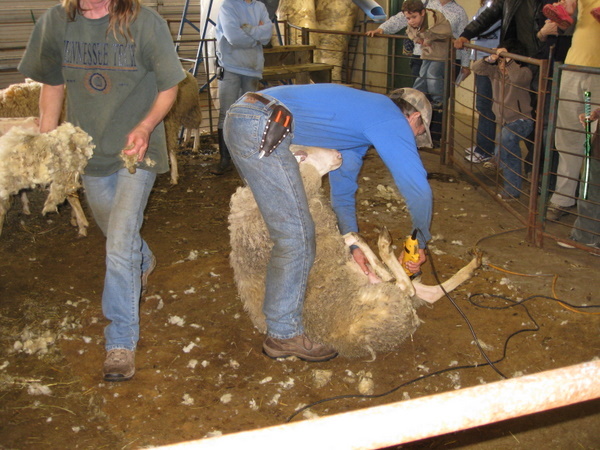 But the sheep will appreciate the haircut in the long run, so no harm done. There were very giant bags of wool being filled. I have to say, I really enjoyed seeing the animals and some of the process of the farm. They use everything they can, selling the wool, using the lanolin, making really amazing cheeses from the milk. Oh, the cheese. 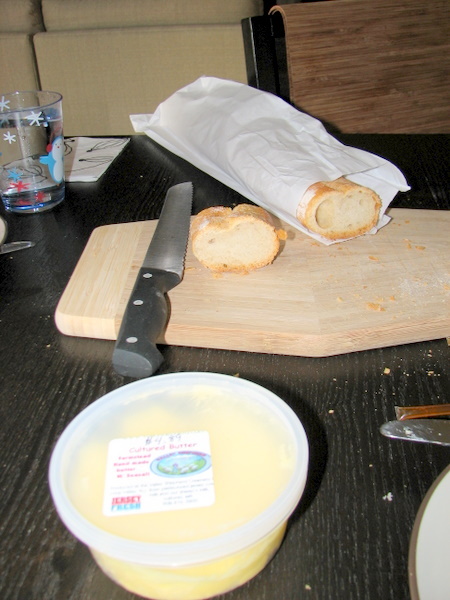 We came home and had a feast of fresh baguette they were selling along with a couple of their cheeses. The orange one is California Tomme, and the lighter one is their classic Oldwick Shepherd cheese. We’re getting ready to finish them off for lunch today. That honey from Douglas Farms is also excellent, I bought a handful of honey sticks in different flavors to try them out. We bought raspberry, but the apple and clover are also great. And finally, the butter. 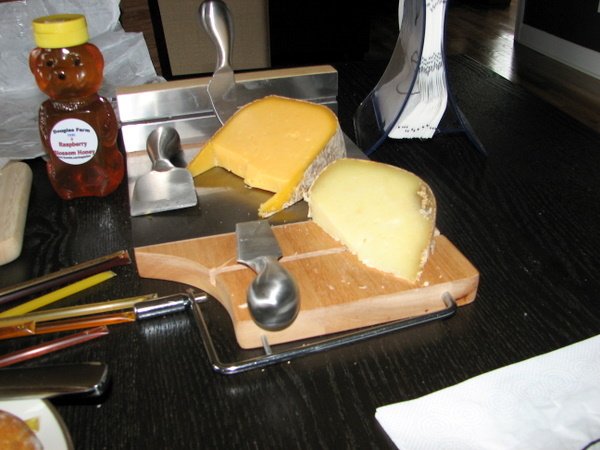 Made at the farm with a combination of sheep’s milk and cow’s milk, they had sea salt to it. It is possibly the greatest butter I have ever had. I will dream about this butter, it was that good. The kind of butter I’d save for good bread rather than bake with it or cook with it. It just tastes too amazing. So it was a fantastic day trip. Then we went to our neighbor Annie’s for excellent ribs (made by a competitive barbeque man) and company. Another great weekend.